It’s day two of reactions, and you know who we’re talking about because of the title. Let’s get to it! What… was that? There was no Final Fantasy news whatsoever (not counting XIV) and almost the same trailers for Kingdom Hearts, Tomb Raider, and Just Cause, none of which I cared about anyway. What was the point of this conference?! There were more interesting Square-Enix announcements at Microsoft’s conference than at Square-Enix’s! Clearly, they should have just skipped this E3 like they did the previous two years. But I will say that the new Platinum game, Babylon’s Fall, looks awesome. While I haven’t beaten either, I’m loving playing through both Nier: Automata and Bayonetta for the first time, so I will absolutely check this game out. (The only thing preventing the conference from being an F) But we also know next to nothing about it, so… yeah, this was not good. Next to no new game announcements, and few of them look exciting. It’s hard for me to recall each of the games shown because my level of not caring is just too high for some, The Division 2 and For Honor being at the top of that list. Other games such as Trials, Transference, and Starlink look like they could be good, but yet again just not my thing. Skull and Bones just made me laugh because Assassin’s Creed Odyssey looks like it has the (slightly less fleshed out) boat mechanic in there, but also a full game! And speaking of Assassin’s Creed Odyssey, it looks really good! So good, in fact, that I might play it if I play every other good-looking game first. Beyond Good and Evil 2 not only is never coming out, but Ubisoft just came up and asked people to make the game for them?! This has “Jason Schreier article about how messy development is” written all over it. Yes, it was dumb that they had to vamp time to move people for one little stunt. But at the end of the day, they showed some great-looking games, even though few were new. 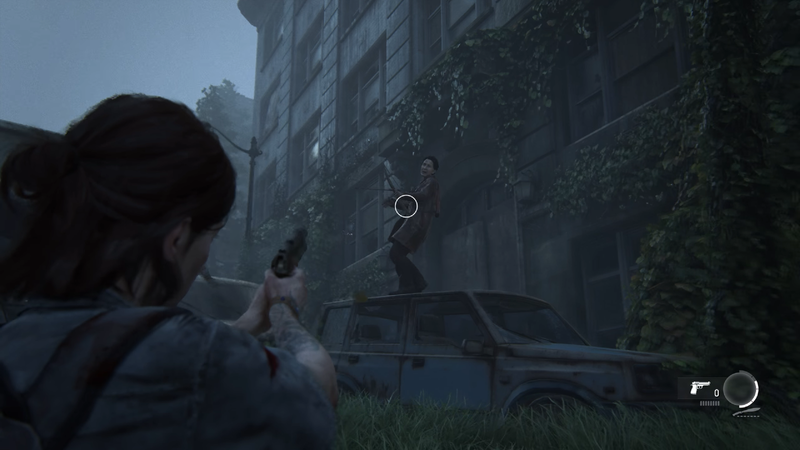 The Last of Us Part II looks so intense, and seeing the way the AI enemies communicate with each other and work together is scary. Let’s be real, there was no way I wasn’t picking this up on day one. But where’s Joel?! I had no interest in Ghost of Tsushima before now, and now I have a little interest. I’d like to say that the world or combat captivated me, but it was really just those leaves, man! Death Stranding is weird even in gameplay, but maybe it’s a… stealth game? It would make sense, seeing as it’s Kojima. And give me Spider-Man now please. So we had both the worst and best conferences thus far. Tune in tomorrow for the grand finale, with Nintendo! Let me know your thoughts in the comments below! We’ve written over 100 articles for “SixTAY Days of Writing”!